Perfect lawns are the stuff of dreams – you draw back the curtains one day and glance out at a perfectly even sea of green. The reality more often is moss creeping across the lawn, poor drainage and patchy grass. Fortunately, a little hard work can go a long way when it comes to improving the appearance of your lawn – you just need to stick at it! 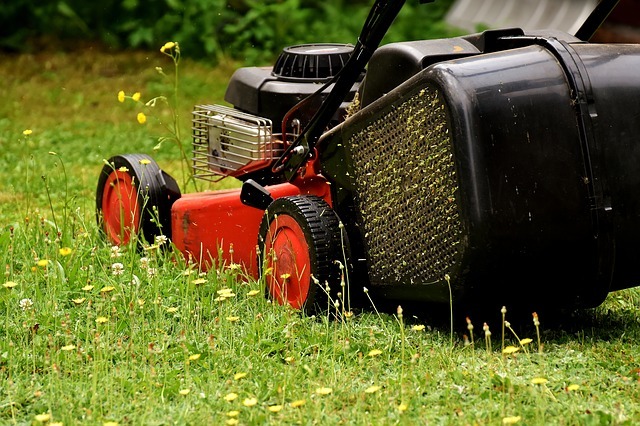 Mowing is the backbone of a good lawn care routine and – when it is dry enough – regular mowing will help to keep grass healthy. But what about those other issues? Moss: This can be a problem in damp conditions and can spread reasonably quickly. Heavy use, poor drainage, dry conditions and shade can all contribute to the growth of moss. As well as dealing with the moss itself, gardeners should consider tackling the underlying problem. Moss can be targeted by raking it out of the ground in the autumn, while either organic or chemical treatments can be added to kill the moss. Organic treatments will usually allow the moss to break down into the soil while moss may need to be raked away after using chemical treatments. In the long-term though you need to identify the underlying cause and take action – whether that is increasing light access, installing drainage or extra watering. Patchy grass: Good coverage is an essential part of lawn health and encouraging growth is an ongoing task. Feed your lawn with a fertilizer to deter weeds and moss while encouraging good growth. Over-seeding will help to restore grass where it has worn away just make sure to do this when the weather conditions are right – ideally just before a rainfall is due. Preparing the ground in advance is also recommenced as raking over the surface will encourage the seeds to settle. Dry lawns may need a drop of water from time to time but as a general rule, lawns in the UK have good moisture content. A serious problem with drainage, however, could require the help of a gardening professional, especially if there is no obvious cause. For help on lawn care and maintenance contact Garden Busters today.